The Pied Piper of the University of Notre Dame women’s team took her show on the road this summer. The Pride of the West Side asserted herself as an international force. Three Irish players, Diggins, Novosel and Devereaux Peters, were key components of the U.S. 21U team that won the gold medal at the World University Games in China. The champions returned home Sunday, just in time to start classes. While Novosel and Peters had their specific roles, Diggins gravitated to a leadership position once the selection process was over. 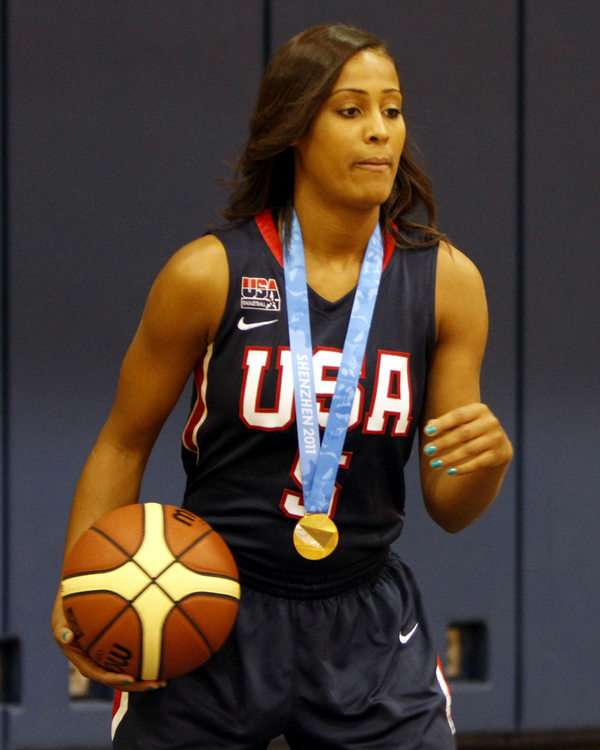 “I was the most comfortable (on the team), having worked with coach Fennelly two years prior,” Diggins said. “That was my seventh time being to Colorado (for the selection process). I knew how things worked. I knew the logistics of things. I know what coach Bill wants. Judging by the scores of the six wins, the U.S. team was challenged more during the pre-tournament training camp than the actual competition. The six wins were by an average of 45 points. The closest was a 79-67 semifinal victory over Australia. The Americans beat Taiwan, 101-66, for the title. Diggins bristled at the lack of respect for the rest of the field. “I don’t think the final score reflected how the actual games went,” Diggins said. “These were some of the toughest women I’ve competed against; some of the fastest women I’ve competed against; some of the most physical women I’ve competed against. “We came together. We clicked so well. No one had egos. We gave up ourselves for the greater good of the team. We never settled. Whether we were up 10, 20, 30, 40 … We wanted to keep going. “(The international game) is more physical (than the college game). Those girls, man, they’re beasts. (The officials) let a lot of (physical play) go. They let us play more. If a foul doesn’t affect the game, they let it go. I kind of liked that. Peters had a scare before leaving for China. While on a fast break in training camp, she landed awkwardly after making a layup. Her left knee, which had already had two ACL surgeries, was injured. “I threw the freakin’ pass,” Diggins said, feeling guilty about the lob. “She made the layup, though. It was a fast break. (Peters) leaks out. I saw it. I throw it. She catches it kind of behind the backboard.